Roland “Rollie” V. Freund, 79 of Elkhorn, WI, died Friday, March 29, 2019 at Seasons Hospice in Waukesha, WI. He was born July 23, 1939 in Spring Grove, IL the son of the late Raymond and Bertha (Tonyan) Freund. He was united in marriage to Nancy L. Iselin on July 23, 1960 in Lyons, WI. 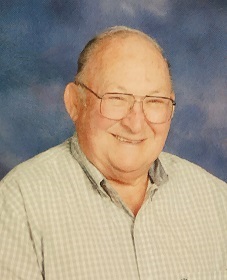 Rollie was employed as a mechanic for over ten years with the Walworth County Highway Department retiring in 2002. He was a former member of the Harvard Moose Lodge # 1289. Rollie was a member and served as an usher at St. Francis De Sales Catholic Church of Lake Geneva, WI. Rollie is survived by his four children: Roland (Julie) Freund Jr. of Spring, TX, Christine Seaver, Therese (Terry) Baars and Jeffrey Freund all of Elkhorn, WI, nine grandchildren and four great-grandchildren, two sisters: Rita Dunkman of Lake in the Hills, IL and Mary Weirich of Johnsburg, IL and by a host of other relatives and friends. Roland is preceded in death by his wife: Nancy, his son: Daniel and brother, Jerry. Visitation will be 5:00 to 7:00PM on Thursday, April 4, 2019 at Haase-Lockwood & Associates Funeral Homes and Crematory, 730 N Wisconsin Street Elkhorn and 10:00AM until service time on Friday at church. Memorial Mass will be 11:00AM on Friday, April 5, 2019 at St. Francis De Sales Catholic Church, 148 Main St. Lake Geneva, WI. Inurnment will follow services on Friday at St. Francis de Sales Catholic Cemetery. In lieu of flowers, memorial donations may be directed to Alzheimer’s Association. Online guest book at www.haaselockwoodfhs.com.